Sage Health is excited to offer a very special treatment called Acusage. This unique service beautifully blends acupuncture and massage into a single, balanced treatment where the two complement one another for the ultimate experience in relaxation and healing. Within our busy practice, we see so many patients for a variety of reasons. From regular adjustments and treatments to the urgent “please fix/relax/relieve this!” … we see it all, day in and day out. It’s why we’re in business and why we love what we do — to help people feel their best! Our busy practice allows us to better determine the needs of our clients, and one of the biggest pain points we hear about is time. We get it. Making time for appointments is hard in our busy schedules. So we’ve found ways to combine certain treatments to help save time and offer maximum benefit. We did this first with Chirosage and now with Acusage, offered by our very own Sage Health team member, Dr. Aimee Holdwick, DAOM, L.Ac. While there’s nothing like experiencing it for yourself, here’s a little info to explain how Acusage works and what the benefits are. How long is Acusage and how is it structured? All Acusage appointments are 90-minutes to ensure that the appropriate amount of time is taken for each part of the process. The service is carefully “bookended” as Dr. Holdwick appropriately puts it. The treatment begins with approximately 30-minutes of gentle massage of the back, shoulders and lower legs, followed by acupuncture. Then the front of the body is addressed with another massage focusing mostly on the neck, arms, and front of shoulders, which is followed with another session of acupuncture. The final step is a massage to the lower legs and feet, which is meant to offer grounding benefits. How deep is the massage portion of Acusage? The service addresses overall body concerns using gentle tui na and Thai massage techniques. The massage portion is meant to be gentle as it helps the technician to further detect and assess what the body’s overall needs are to offer deeper healing in the overall treatment. The massage portion also helps to relax the central nervous system and bring it into the calmest state possible. A deep tissue or sports massage would be counterintuitive to this treatment so we advise that those types of massages be booked separately. 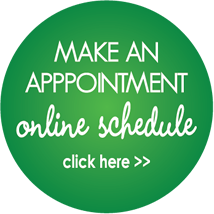 How often should I book an Acusage appointment? The answer to this is based on your individual needs and goals, and something to discuss with your acupuncturist. In general, this type of treatment would be beneficial on a monthly basis — especially if you’re often pressed for time and booking multiple appointments on a monthly basis is challenging. Book your appointment with Dr. Holdwick today as these treatments are starting to book up fast! If you enjoyed this blog you may also want to read The Benefits Chirosage.